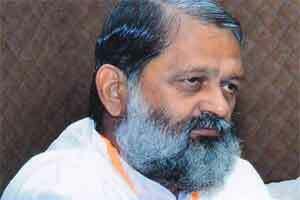 Ambala : Haryana Health minister Anil Vij filed a police complaint in connection with his fake Facebook account. The minister came to know about his fake account when he received congratulatory messages for his birthday Sunday. However, his birthday falls on some other day, Vij said in his complaint. Later, he discovered that some one has made his fake Facebook account through which the birthday message was passed on. Vij in his complaint said that it was a serious matter therefore the conspirator must be traced. The Cyber cell of the police has started investigation in this regard, police said.